UCC’s €56M Information Technology (IT) Building is situated on a 5.5 acre site on the western edge of the University campus. The IT Building will allow the university to bring together on one site key research areas, new lecture theatres, undergraduate teaching laboratories, research laboratories and a new riverside café. A key feature is the new IT incubation suite which will encourage start-up software development companies. “The architects are Scott Tallon Walker. 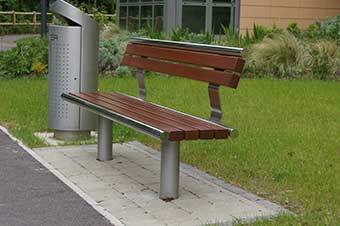 Hartecast were selected to provide the seats, bins and tree grilles.